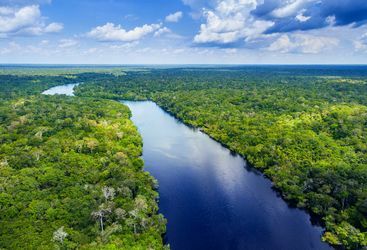 Sightings are of course never guaranteed in such a wild and vast place, and particularly where one of the world’s most elusive animals is concerned, but the Pantanal region is one of the top spots in South America for jaguar enthusiasts. Jaguars hunt anything from insects to cattle, mainly at dawn and dusk, stalking and then ambushing their prey. They will also fish along riverbanks. Thanks however to stringent conservation efforts, the jaguar are far less hunted themselves than they used to be; local farmers have been educated as to the financial benefits of protecting, rather than killing, the cats, and the benefits of sensitively managed tourism to the area are widely appreciated. It is perhaps to these conservationists that you owe your 70% likelihood of a sighting… and your best chance is during the dry season, from July to October. Estimates suggest that there are between 4,000 and 7,000 of South America’s largest cat in the 54,000 square miles expanse of the Pantanal. Will is our 'Jaguar spotting in the Pantanal' expert and as a seasoned traveller has the inside track on the most memorable adventures.